Marian Wood Books/Putnam, 9780399159220, 704pp. From the New York Times-bestselling author of Lionheart comes the dramatic sequel, telling of the last dangerous years of Richard, Couer de Lion's life. This long-anticipated sequel to the national bestseller Lionheart is a vivid and heart-wrenching story of the last event-filled years in the life of Richard, Coeur de Lion. Taken captive by the Holy Roman Emperor while en route home in violation of the papal decree protecting all crusaders he was to spend fifteen months imprisoned, much of it in the notorious fortress at Trefils, from which few men ever left alive, while Eleanor of Aquitaine moved heaven and earth to raise the exorbitant ransom. For the five years remaining to him, betrayals, intrigues, wars, and illness were ever present. So were his infidelities, perhaps a pattern set by his father's faithlessness to Eleanor. But the courage, compassion, and intelligence of this warrior king became the stuff of legend, and A King's Ransom brings the man and his world fully and powerfully alive. 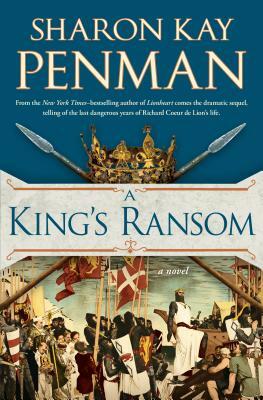 Sharon Kay Penman is the author of eight previous historical novels and four mysteries. Among writers who admire her work are Margaret George, Steve Berry, George R. R. Martin, and Bernard Cornwell. Her readers are passionately committed. A lawyer by training, by her mid-thirties she was a full-time novelist. She lives in Mays Landing, New Jersey.